It seems the data site of Ecosynth is down. We are trying to learn this tool to use it in our study of biomass calculations in our campus of IISc Bangalore. It would be great if we can get access to sample dataset images so that we can understand the working of the tools as such. We shall be thankful for accessing the datasets. Kindly let us know. I teach at UMCP in the Department of Geographical Sciences' professional masters in GIS program. One class that I teach is an advanced remote sensing class focused on lidar. I would love to bring Ecosynth into my course, perhaps as a lab assignment. That way I can introduce my students to a low-cost alternative to lidar for generating point clouds. I have yet to use Ecosynth myself, so I'm a bit of a beginner (my expertise is mostly in lidar remote sensing). Here is a point cloud we made with a Phantom 3 quadcopter and AgiSoft PhotoScan. We exported it in the Po-Tree format then put it on the web by editing an example from the free potree viewer(https://github.com/potree/potree). 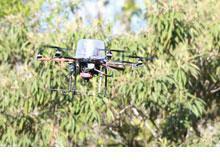 Monitoring tropical forest recovery with Ecosynth - must read in Biological Conservation! 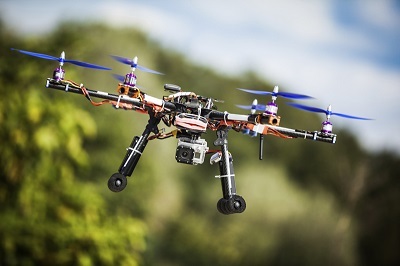 Drones for Science in Nature: Science, technology and the future of small autonomous drones! I have been suggested to write this post to point your attention to a free software i'm being developing for automatic image (and 3d model!!!) georeferencing. It is called AutoGR-Toolkit and it is based on image matching. It provides thousands of ground control points in seconds. These points can then be used in ArcGIS or QGIS (for 2D matching) and also in Agisoft Photoscan, VSfm or sfm_georef (for 3D model georeferencing). Drones from Baltimore to Panama and back!